If Currents was the soundtrack for your summer in 2015, you are not alone. Tame Impala’s superlative album defined the year and legitimized the band’s hype, taking the number-eight spot on our list of the 50 best albums of 2015. The band even understand the icon potential of the album—that’s why they’re releasing a collectors edition. The box set will include a limited-edition red vinyl with alternate cover art, a 12” featuring two remixes, and a 7” and flexidisc with three b-sides. As an added bonus, there will also be a poster and a zine of images and scribbles from the recording era of Currents. The reissue will be out on Nov. 17 via Interscope. 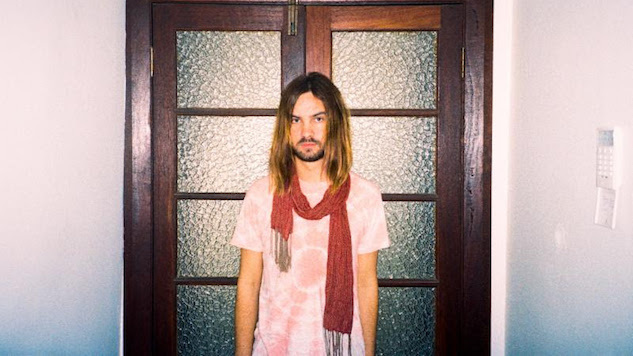 Catch a sneak peek of the contents and watch a behind-the-scenes clip of frontman Kevin Parker below, beneath audio from the band’s 2010 Daytrotter Session. You can preorder Currents Collectors Edition here, and read our review of the original album here.